Wet plate glass negative by James F. Gibson. On the James River in Virginia. 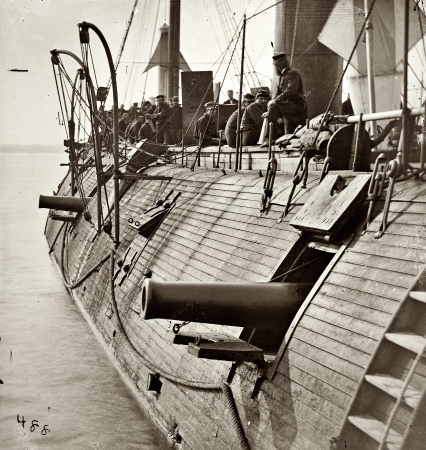 "Effect of Confederate shot on Federal ironclad Galena."